Brooklyn Digest: Severino On Wild Card Start: "It means a lot. It means that they trust me"
Severino On Wild Card Start: "It means a lot. It means that they trust me"
On Tuesday morning, Yankees Manager Aaron Boone named Luis Severino the starter for the American League Wild Card Game against the Oakland A's on Wednesday night at Yankee Stadium. 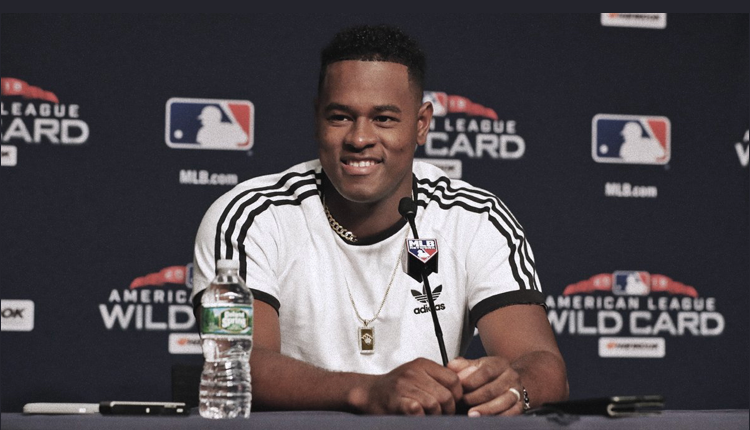 Severino also started last year's Wild Card game against the Minnesota Twins and was knocked out in the first inning of an eventual Yankees win. Severino, who went 19-8 with a 3.39 ERA this season, edged out J.A. Happ and Masahiro Tanaka to start the one-game playoff. "It means a lot. 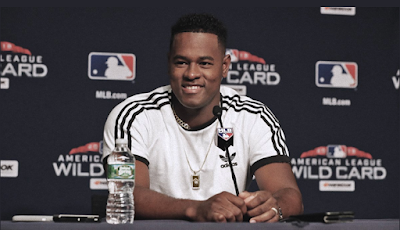 It means that they trust me" Severino said of Boone having the confidence to give him the ball on Wednesday night despite a tough second half and how last year's Wild Card game went. "They know that I can be good, that I can be better. I mean, you guys know me; I can have trouble, and the next start I can be good. If something bad happens, it happens at that time, I just get over it and keep working and get better." Q. How important is it tomorrow night, and how important has it been lately to have your fastball command? LUIS SEVERINO: I think every day is important, but a game like that one, you know, will be the best game that I can have that day. From the bullpen, I had to go with that command. That's my pitch. If my fastball is working, my command is good, I think I can do a very good job. Q. Luis, obviously everybody knows last year that you had a rough start in the Wild Card game but pitched very well after that. Do you think it was just kind of being too excited last year, or looking back, why do you think you had trouble in that Wild Card game? LUIS SEVERINO: Maybe it was that. Maybe too excited, trying to do too much. But the good thing was that we won, won that game, and we'll move on and do a better job. But yes, I think that was the main thing. I was too excited. It was a good experience. Now I'll take that tomorrow and try to treat that game like a regular game. Q. How much of your struggles in the second half do you attribute to the fatigue, and how much do you think the extra rest you've gotten lately and coming into this start helps you? LUIS SEVERINO: I would say I don't feel tired. I've been missing my spots lately, a couple fastballs and sliders, but the last three or four outings, I've been feeling better, the command, changeup and the slider have been good. Like I say, I don't feel tired. If I struggled in the past, it was because I was losing my command. Q. How different is it to have prepared for a start that you might not have known was coming until a couple of days ago? What has that been like for you? LUIS SEVERINO: It's tough. You know, I'm excited we got to know at least four or five days before. But I thought it was going to be Happ, Tanaka or me, so I was thinking, if they ask me, I'll be ready. I'll be doing my bullpens, all my stuff. Even if I don't start, I'm going to be in the bullpen to help my team. Q. Aaron has said that before they even selected a starter, whoever it might be, they could go to the bullpen early in this game. Does that affect your mindset? Are you in a "go as hard as you can for as long as you can" mindset, not knowing if that might mean third, fifth, seventh inning? LUIS SEVERINO: I just want to win. Whatever happens, if I can go four good innings and then the bullpen comes, that would be great. I just want to win and move up and go to Boston and try to win there. Q. What went wrong in your start against the A's early last month? And your relationship with Sanchez, there were quite a few wild pitches, passed balls that game? LUIS SEVERINO: I think it was a miscommunication between us. I think we didn't set the right signs and stuff like that. But we talked about it. We figured it out, and after that, I think everything was great. Q. Looking at that A's lineup, what do you think is most challenging facing them? LUIS SEVERINO: I think they have a good lineup. They have a lineup that can hit everywhere. They can go to the right field, go to left field. But I'm looking forward, like I said earlier, command my fastball. If I can get that fastball inside, and if that slider is sharp, I think I can get through that lineup. Q. You had a couple starts this year in the second half that were backed up, a couple extra days' rest. How do you think that prepares you for this when you're going to have eight days' rest? LUIS SEVERINO: I think it's going to be good. It's a good rest. I threw two bullpens in between, and I feel good. I feel like I always feel; I feel ready. I feel that I can do a good job.